click here for bunker closed up photo. 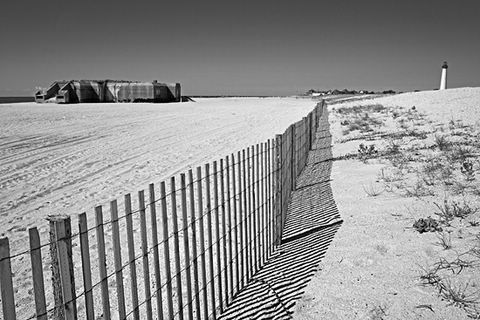 I am familiar with Cape May Point at least In New Jersey anyway and I dont remember a WWII Bunker? Is This a different Cape May Point or did I miss something. Cape May point? is this at NJ? I seem to have remembered the lighthouse but not the bunker. Is this place near Delaware bay? Nice composition -- I haven't seen this light house from this point of view, and didn't have a camera back then either. Your picture seems to remind people of the glorious(and sometimes dark) past of history. well done. The bunker must be a hair-rising place...I really like the point of view. There are really a lot of things to see in and around NY. I have to afford some money to travel there! Nice view of the beach. The bunker is quite scary! We have bunkers lining the coast here in San Francisco, but they are all pretty much sealed up. There are a few that have window openings where you can peek in. Is this one sealed up too? superb. i love it, it's a great composition. Oooh yes.. I love the depth in this picture.. it goes on for miles, seems like! Great shadow cast on the fence.. and just amazing! Thanks for sharing! lots of space there. gorgeous tones! that lighthouse is brilliant. Great perspective.I like this image.